Q: Does Polar Shades sell products directly to consumers? A: Because we strive to provide the highest quality product AND customer service, our products are only sold through a network of highly vetted and trained dealers. If you’re in Las Vegas, you can purchase directly through Polar Shades at 702-260-6110. If you’re outside of the Las Vegas area, please fill out our “Find a Dealer” form, and a dealer in your area will contact you. Q: What is a Polar Shades dealer? 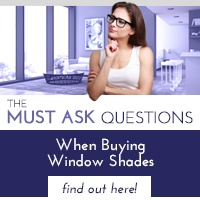 A: A Polar Shades dealer is a representative who educates consumers on Polar Shades products and promotions, provides samples of materials, and places orders for buyers. Touch and see the fabrics you are considering to ensure they’re right for your home. To get in touch with a Polar Shades dealer, please fill out our “Find a Dealer” form, and a dealer in your area will contact you. A: Your first step will be getting in touch with a Polar Shades dealer in your area. You can do this by filling out our “Find a Dealer” form, and a dealer in your area will reach out to you to discuss your specific needs. Q: Where can I find help with measuring? A: Your local dealer will send a professional to your home or business to take exact measurements of the door or window that will be fitted for interior and exterior shades or retractable screens. We want to ensure your custom treatment meets exact specifications. Q: What home products can be motorized? A: Interior and exterior, shades, draperies, garage door screens, and other roll-up products can be motorized. Q: What name brands do you carry? A: We carry PolarTech, Phifer, Mermet, Wilson, Coulisse, Turnils, Ferrari, Shaw, and even more. Give us a call to find the right fabric. Q: What types of window treatment fabrics and colors are available? A: Polar Shades offers a full array of trendy, beautiful, energy-efficient fabrics for interior and exterior applications. We have many different solar, light-filtering and blackout fabrics for you to choose from. Please click here for a sampling of what we offer. Q: What type of product warranty do you offer? A: All hardware and parts purchased directly from Polar Shades are covered by a limited lifetime warranty. This warranty protects against defects due to faulty manufacturing or assembling, which prohibits the product from functioning as intended. We will repair or replace the defective parts or materials within the warranty period, at no charge. All fabric and electronics are covered by the respective factory manufacturers’ warranty. However, Polar Shades does not warranty against damage due to accidents, carelessness, neglect, storms, wind, water pooling, improper installation, normal wear and tear, war, or acts of God; nor do we reimburse for trip or labor charges. Learn more about our limited lifetime warranty here. Q: Who do I contact if my motorized window screens stop working? A: Please contact the specialist who installed the product. If you’re in Las Vegas and your purchased directly through Polar Shades, please contact us at 702-260-6110. If you’re outside of the Las Vegas area, please contact your Polar Shades dealer. Q: How difficult is the installation process? Will I be able to do it myself? A: In order for our warranty to apply, installation of our products must be performed by a trained Sun Control Specialist or a dealer. Q: Are your window treatments safe for children and pets? 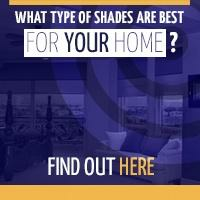 A: Our cordless and motorized shades are designed with safety in mind, making them ideal for your family. Q: How do I clean my shades? A: While minimal care and cleaning is needed for your indoor and outdoor shades, they may need light dusting on a regular basis. Using a soft, clean cloth or feather duster should remove light dust and debris. For a deeper cleaning, you can lightly vacuum the fabric with the upholstery attachment of any vacuum cleaner. If you need to spot clean the fabric, warm water works well; gently blot the spot and allow it to dry completely. This will avoid crushing or wrinkling the fabric. 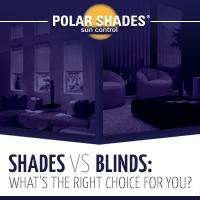 A: You can contact us by phone (toll-free) at 877-260-6110 or by email at info@polarshade.com. If you’d like our mailing address, fax number or hours of operation, please click here. 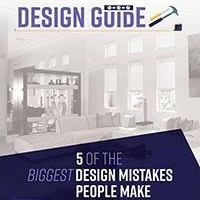 Q: Do you ship dealer’s pricing and reference guides or brochures? A: Yes. We release an updated dealer book every couple of years. If you did not receive one, please send us an email request at info@polarshade.com. Q: How do I become a Polar Shades dealer? A: If you would like to become a Polar Shades dealer, please click here to submit our “Become a Polar Shades Dealer” form. One of our dealer representatives will reach out to you with more information. Q: Where can I find more information about Polar Shades? A: You can learn more about our company here. Q: Do you offer support for your dealers? A: Our relationships with our dealers are vital, and we’ve created an incredible partnership program backed by a full range of sales resources and excellent marketing collateral to support them. Please email us at info@polarshade.com to request any marketing materials needed.